It has been 6 months since my little angel Arshiya was born. If things were different, I would have been gazing at her curious eyes and as she learnt new things. Sadly, we do not have any good memories. Since her birth, she has been battling for her life. I have been living with the burden of uncertainty. My daughter's life is at risk. I can't get over this thought even in my sleep. 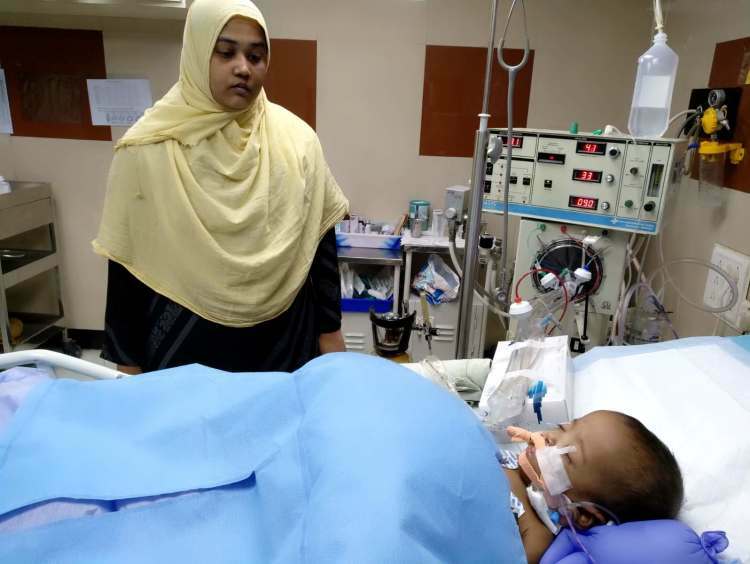 Arshiya was born prematurely and weighed only 1.1kg. I tried to keep my imagination in check and was hopeful my baby was healthy enough. But at the first sight of my baby, I was devastated. She was fitted with tubes in the ventilation box. 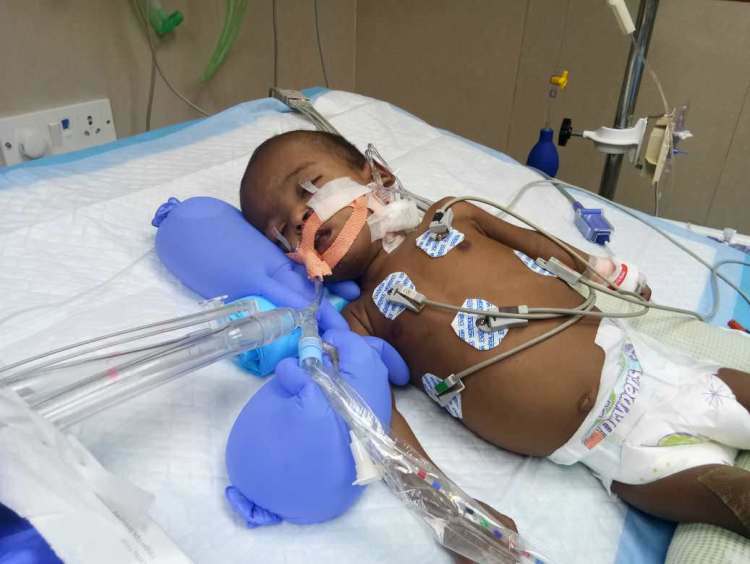 She was fighting the complications of premature birth and could not breathe. After a long wait of one month, she seemed to be getting better. I thought that the nightmare was over. I took her home after a month with a lot of dreams. Little did I know that I would be coming back to the hospital soon. The hospital visits seem neverending. In the last 6 months, she has been admitted to the hospital multiple times. A few days ago, she had high fever and breathing trouble. My worst nightmare became her reality. 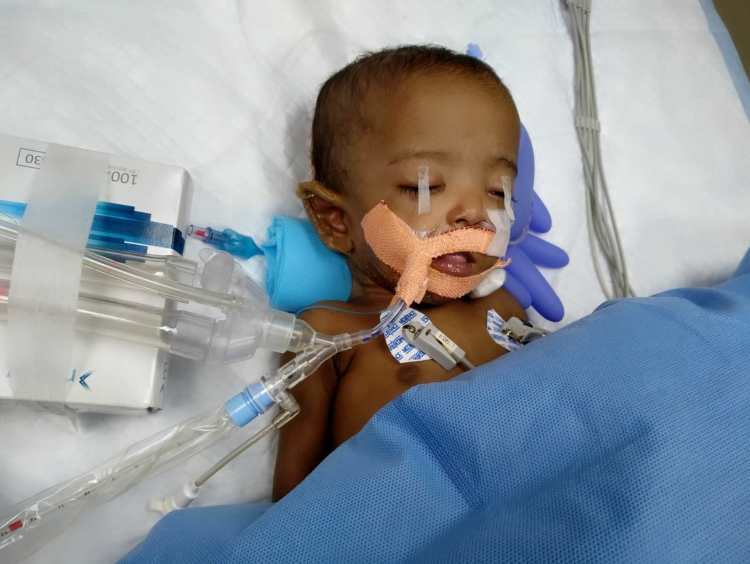 Doctors said that she had pneumonia and her lungs were collapsed. Her small body is now flooded with antibiotics to help her fight the infection ravaging her lungs. My daughter never had the luxury of staying at home. She has till now never had a good night's sleep. I can't imagine the pain she is going through. I feel that I have failed her. They say it is not my fault but how can I not feel responsible? I have lost touch with the world outside completely. I'm looking at my world through the glass door where my daughter is battling for her life. She is in the ICU and I'm only inside only for few minutes every day. Even a small infection can make her condition even more terrible. Did God bless me with this angel to take her back? I believe fate does not betray me. I survived all these days because of the extraordinary strength my little one showed. She is a little warrior. Isn't she? Despite all this struggle and pain, she has survived and I'm sure she will continue to fight. I sleep outside the ICU, in the verandah with my husband. He takes the first train in the morning to his work. He works in Chengalpattu, 2 hours away from the hospital and returns to the hospital in the last night after his work. We do not even have the strength to console each other. We cry in silence every day. We really don't know what we can do to save our daughter. 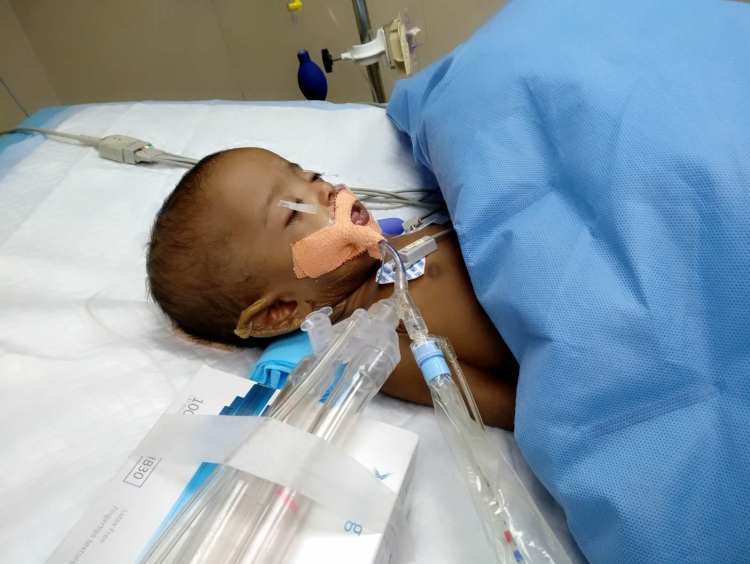 She is doing her part, doctors are giving their best but as parents, we are just helpless. I feel terrible. My 3-year-old son Aadiv is in my relative's place. He misses his parents and even his new baby sister. It is a difficult time for all of us. We are all fighting in our own way. We are desperate to go home and live under together. We need each other. I can't imagine losing my daughter, our lives will never be the same without her. My husband works in a mobile shop. He earns Rs 9,000 per month with which we are running the family. We have already exhausted all our sources. We have borrowed heavily for the treatment, yet we still have outstanding bills. I have now come to the realise that only strangers can help us save my daughter. My daughter needs at least 4 weeks of hospital stay. 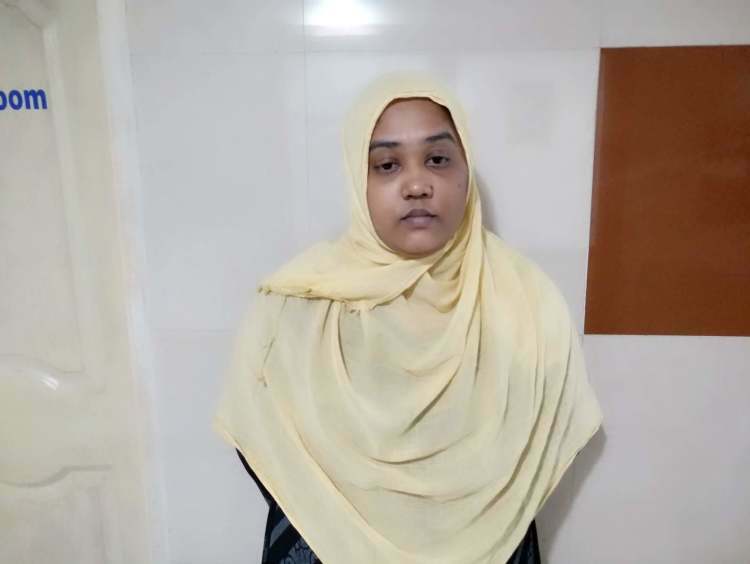 This treatment is very important without which she will not make it. We need Rs 3 lakhs for treatment. Please support my baby. Your contribution can make it possible for her to live a life! 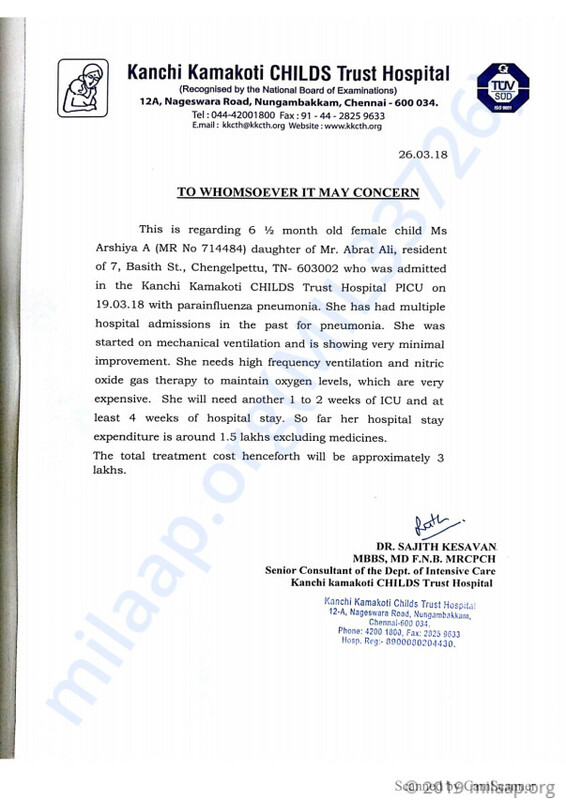 Here is a quick update on Arshiya's health. The baby is currently at the hospital and is doing better. She has some infection for she is undergoing medical management and anti-biotic treatment. She has responded well to the treatment and showing signs of improvement. Most probably, she will get discharged from the hospital by the end of next week.